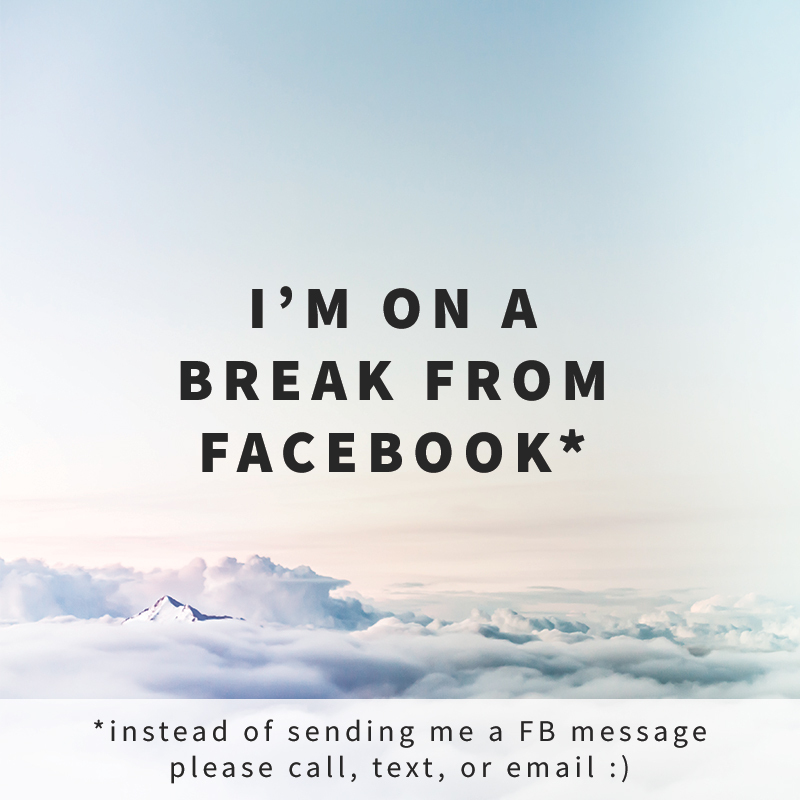 Ever find yourself saying you'll take a break from Facebook only to find yourself worrying that you're missing out on new clients, new connections, or important events? A lot of us use Facebook to network and to build our businesses. Even if you don't, the fear of missing out on everything from impromptu hangouts to unexpected memorial services is very very real. I've found that a way to help me really cut the cord is to put up a profile pic like one of the ones below. That way if partners tag me as a recommended designer in posts, potential clients message me, or friends try to invite me to their BBQs they can see that I'm offline and contact me on a more intimate channel. It's been a few weeks since I left Facebook and boy do I feel great! In all the extra time I've created by not reading ALL the trending articles on Trump, I've been able to write one new song per week. It feels amaaaaaazing. What would you do with that extra time and energy? Feel free to download and anyone one of these to support your time off.